Discussion in 'Trail Cameras' started by pastorjim08, Apr 14, 2019 at 3:31 PM. 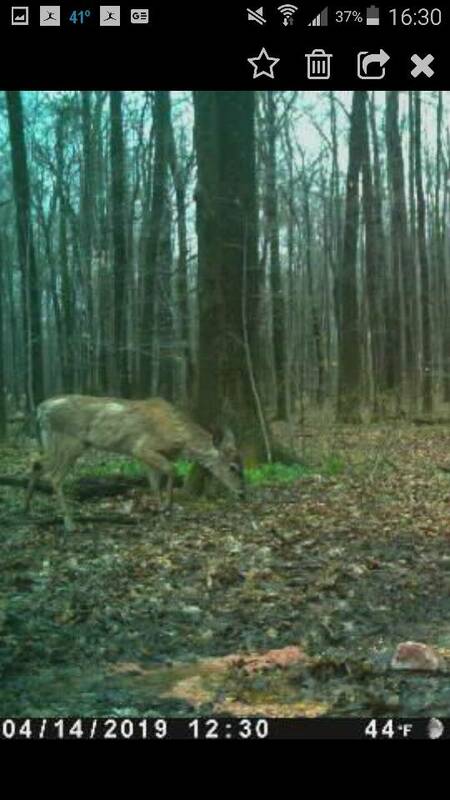 Do you guys think this is a piebald or just the deer changing from winter to summer coat? Not piebald but looks sick to me. Changing its coat. I had one like that last year and after a few weeks looked normal. I thought it was about to die. Looks like a normal spring pelage change to me. Premature gray? Good photos, though. Need to get a trail camera!